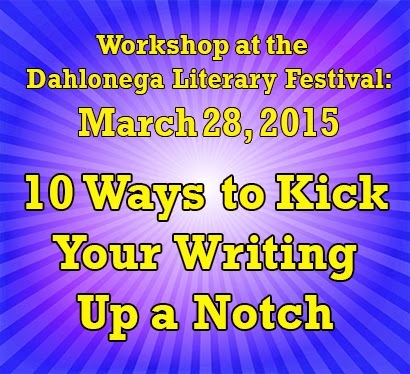 If you've never been to the Dahlonega Literary Festival before, give yourself a treat and go. It's a great event in a charming mountain town, with lots of friendly people. The always fabulous gals from FoxTale Books (voted the Best Bookstore, 2103 by Atlanta Magazine) will be on hand to sell books, and authors will be available to sign them.